I signed up to hear about all of Bowel Cancer UK’s campaigns, which included their Time to Test campaign calling for all bowel cancer patients to be tested for Lynch syndrome, in line with NICE guidance. Lynch syndrome is a genetic condition that can increase the lifetime risk of developing bowel cancer to up to 80%. It’s not something I’m personally affected by. However, when I was contacted about the Time to Test Summer Challenge, and I read that the West Midlands weren’t following NICE guidelines for Lynch syndrome testing, I was horrified! NICE guidance recommends all bowel cancer patients are tested for Lynch syndrome at diagnosis, and this was not happening where I live. I had been treated in these same hospitals and I was fully aware that lives were being lost and families suffering because of this. November 2006 was when my life came to an abrupt stop. I was diagnosed with stage 4 bowel cancer and given a prognosis of just three months. I had been working just the day before. I was aware of my symptoms, but was misdiagnosed by my GP for over six years. Since my survival, and the help I received, I have wanted to give back something to help other patients. I have been an active campaign supporter of Bowel Cancer UK for some time now and a firm believer in campaigning. I campaign because I seethe current situation as unfair and changes need to occur. I wanted to help on this campaign because I was local to the area and concerned that guidelines weren’t being followed, so I responded to the Time to Test summer challenge. Using the campaigner toolkit and briefing provided by Bowel Cancer UK, I only had to click to help me find out what my local health bodies were doing or, in my case, failing to do. It only took five minutes and a couple of clicks to find the direct contacts of my local Clinical Commissioning Group (CCG) and the Health Watch Team for my area. The charity already provided a template letter that I was able to instantly send to each. I received replies from each local health body that, in the first instance, seemed to transfer the responsibility onto someone else. I got back to the charity’s Campaigns team each time; this was too valuable a link for me to lose and I realised that they had all the information I might need for a strong response. I am delighted to say that because of my local campaigning efforts, South Worcestershire has agreed to work closely with Bowel Cancer UK to raise awareness of Lynch syndrome and find patients within the region to share their experience.. From a position where patients with bowel cancer were not routinely being tested for Lynch syndrome, they have agreed to ask for patients within the area to share personal experiences of Lynch syndrome, so that they can develop a better understanding of the issue locally and build a stronger case to present to local commissioners, i.e. CCGs. They also asked me to log the account of my own misdiagnosis, which will hopefully improve treatment for others. I call this a success! Most of all, I am delighted that as a local, I was able to get personal responses from my local CCG and Health Watch who took the time to answer my emails. 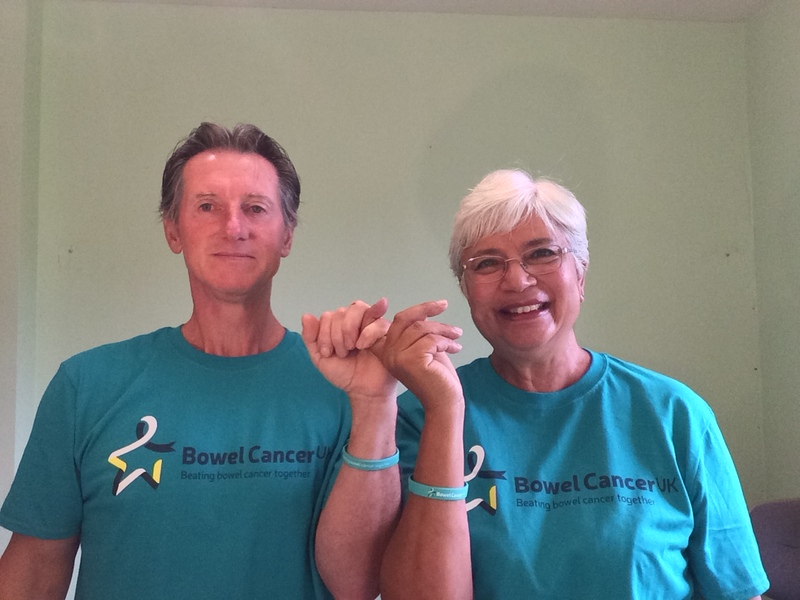 They were not prepared to do this for Bowel Cancer UK when they wrote the same letter! So, by responding to the campaign, I was able to act as mediator! Patients, or their close friends and family have the ability to make real change happen because they have experienced shortcomings within the system. I made my story public, even during my treatment, over 10 years ago, because I wanted to advise others of the need to push for a correct diagnosis and treatment. The patient story is the most powerful thing that can help improve the system for others. This is why it is so important to campaign. So if you can, I urge you to respond to Bowel Cancer UK’s campaign calls. I really did not expect to make such a difference but I did! I know this saves lives. You can help save lives too by telling your local health bodies it’s Time to Test for Lynch syndrome. Join me and Bowel Cancer UK and let’s campaign for change. Become a campaign supporter. Join thousands of people campaigning to help make real change happen for people with bowel cancer. You can still take part in the Time to Test Challenge. Find out how. Read about why we’re campaigning to improve the diagnosis and care of people with Lynch syndrome.